Mike Ruiz and Chris Riggs went undefeated as the Wolves ended up 4th as a team in the WR Team Tournament. Sequim went 2-2 as they were thumped by Champion White River and Runners-Up Curtis while beating Decatur and West Seattle. The wrestling team opened up the season December 3-4 at the White River Classic tournament in Buckley with a pretty fair showing. After a warm-up Jamboree at Port Angeles on Thursday night, the scrappy team showed heart with Senior Mike Ruiz and Junior Joe Shaw each placing 2nd. Ruiz lost by pin in the 160 lb finals while Shaw dropped a 10-7 decision in the 215 lb finals. Juniors Anthony Gowdy, Andy Chinn and Kyle Cecere each finished 5th at 119, 140 and 275. Matt Farris took 6th at 119. All divisions were 16-man double elimination brackets and the WRC attracts top teams from around the State. Sequim placed 8th out of 16 teams. pinned Johnson-Fife :39, pinned Cheseboro-White River 1:19, tech falled by O’Neil-Sedro 20-5, dec. by Ogden-Everett 9-13, dec. Farris-Sequim 13-6.
dec. Wold-Eastmont 7-6, dec. Ogden-Everett 4-3, tech. falled by Sanchez-Sunnyside 0-15, pinned by Swankosky-Everett 2:44, dec. by Gowdy-Sequim 6-13.
pinned by Saldana-Grandview 2:48, tech. fall Kilcup-White River 15-0, dec. Garruto-Yelm 13-11, maj. Dec. by Fetter-Orting 2-12.
pinned by Baker-Fife 1:10, dec. Hammond-Bainbridge 6-3, pinned by Claussen-Cedercrest 3:24.
pinned Glover-Fife 1:53, dec. Hamilton-Cedarcrest 12-6, dec. by Paul-Yelm 5-11, dec. by Benavidez-Grandview 4-7, dec. Walker-Centralia 5-1.
pinned Morrow-Centralia 3:55, pinned by Davis-Sedro 1:32, pinned Damon-Liberty, tech.fall by Farly-Enumclaw 2-17. Pinned by Vanhorn-Eastmont 2:26, dec. Draper-Everett 6-2, pinned by Day-Yelm 4:00. Tech. fall Wagner-Centralia 16-1, dec. Luce-Cedarcrest 8-6, dec. Burt-Enumclaw 10-3, pinned by Sandelin-Sedro 3:04.
pinned by Hawkenbury-White River 1:50, dec. by Gunderson-Liberty 0-3. Maj. Dec. by Boyce-Everett 5-19, pinned Sowards-Orting 2:02, Tech. fall by Burns-Everett 1-16. 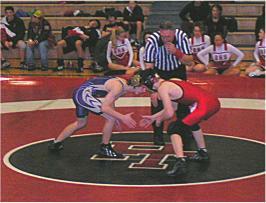 Dec. Hudon-Everett 4-3, pinned Parkhurst-Orting 2:50, dec. by Wamsher-Eastmont 7-10. Pinned Kakela-Bainbridge :33, pinned by Garza-Sunnyside 3:12, pinned Heidman-White River 2:08, pinned Monico-Fife 2:33, pinned by Morales-Grandview 3:52, pinned Decker-Enumclaw 2:10.